For the last couple of years I have had a few books by Edward Sri on my to be read list, but had not got to them yet. After reading this book they have jumped way up in that pile of books waiting to be read. Dr. Edward Sri packs a lot of material into this short volume on the Rosary. In 12 chapters and under 200 pages this book is about encountering Jesus, engaging Jesus through Mary and being encouraged in our faith through this devotion. Dr. Sri encourages us by unfolding this simple prayer and taking the intimidation factor out of this practice. Throughout the book we are inspired to engage with Jesus and Mary and the biblical narrative. And Through the reflections, and meditation we will encounter Jesus and be drawn closer to him. The book opens with a quote from Pope Saint John Paul II: "These words express, so to speak, the wonder of heaven and earth; they could be said to give a glimpse of God's own wonderment as he contemplates his "masterpiece"-the Incarnation of the Son in the womb of the Virgin Mary.… The repetition of the Hail Mary in the Rosary gives us a share in God's own wonder and pleasure: In jubilant amazement we acknowledge the greatest miracle of history." And that is Sri's starting point. He outlines how the Rosary can be integral to our faith, and how it can draw us home. Too Much Attention to Mary? 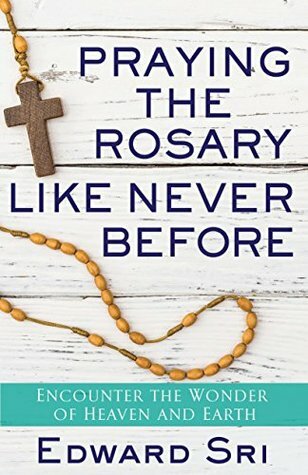 "A good Catholic friend of mine summed up what I think is the sentiment of many: "If you could help a simple, ordinary guy like me understand what the rosary is all about and inspire me to find time to pray it, that would go a long way. I just need to figure out how to pray it in a way that will be meaningful to me." That's what this book aims to do: inspire ordinary Catholics to turn to their beads more often and help them pray the rosary in a way that is meaningful for their lives-in a way that is truly life-giving. And in the process, I hope they'll discover what many great saints and ordinary folk throughout the centuries have experienced: a deeper peace, joy, and encouragement that comes from the subtle but profound encounter one can have with Jesus and Mary in this prayer." 1. Why is the Glory Be a fitting finale for each decade of the rosary? How does this prayer relate to the mysteries we contemplate? 2. How do the beads aid your prayer of the rosary? 3. Pope St. John Paul II wrote, "It is clear…that many people will not be able to recite more than a part of the Rosary" every day, and hence comes the practice of reciting different sets of mysteries on different days. Some people might find it difficult to recite even five decades at one sitting-or kneeling. What are some ways of incorporating the rosary into a busy schedule? 4. The pope suggested that reciting different mysteries throughout the week "has the effect of giving the different days…a certain spiritual 'color'" (RVM, 38). How can the Joyful Mysteries color your Mondays and Saturdays? The Luminous, your Thursdays? The Sorrowful, your Tuesdays and Fridays? The Glorious, your Sundays?" The four chapters going deeper in the bible on each of the different mysteries are wonderful. And overall it is an excellent book. I would see it becoming a spiritual classic on the Rosary over the next few decades. It is a wonderful book and a great tool for our spiritual life. I highly recommend it! Slowly church renovations taking place. The old polished concrete ceiling and rough border have been painted. New AC Units, and soon new flooring. You can see other posts of photo's of St. Agnes Parish here, or 'The Colors of the Church Year'. I recently picked up three different diffusers from Viva Naturals to try. This one my mother in law loved so I gave it to her. And I had this model in the Espresso color. I already had two makes at home but was attracted to the design and style of the Viva diffusers and this specific style. It took my mother-in-law a while to figure out the settings because of the light lettering on the light wood finish. But other than that she loved it and we as a family love ours. One of the things that we really like about this one model is the larger capacity. Most of the other diffusers I have tried have between 200-300ML basins and this one has a 400ml basin. After filling it the first time I ran it for almost 18 hours before having to add water. Enhance your mood, fight mold and pathogens, relieve sinus ailments, improve energy and focus and savor other wonderful benefits that aromatherapy has to offer. The diffuser is extremely quiet with very little operating noise. You'll never be disturbed at work or while sleeping. Choose from 7 different LED modes to match your mood and create a powerful experience that soothes all your senses. The diffuser automatically shuts off once all the oil is dispersed. So you'll never have to worry about forgetting to turn it off. Diffuse and unwind at your own pace. Viva Naturals' Ultrasonic Diffuser disperses cool, aromatic, energizing, and calming oil droplets at 1-, 3- and 6-hour intervals, and includes a continuous mist cycle that runs up to 12 hours. We offer a full 90-day, 100% money-back guarantee. If you are not completely satisfied with your diffuser for any reason during the first 90 days, simply return it and we'll refund you 100% of the price you paid. You risk nothing. It lives up to those claims; or at least the ones I can verify. A number of friends and family have comment on the style and design of it since we got it. It works really well. The kids love that there are 7 colors to choose from or you can allow it to transition through them. The only real drawback is that the lids does not firmly affix, it just sits in the basin, so if it is knocked the is usually a mess. Because of this we had to put ours up on a mantle so it would be less of a temptation for the children to keep switching the lights. It is a really good product, at a good price point, that was immediately a favourite with the nuclear and extended family. And I love the pine finish on this model, you actually need to pick it up to confirm that it is not real wood. Viva Naturals products are now available in Canada currently through the Amazon Marketplace. Viva Naturals is a company that has been around since 2011, but are only now expanding into Canada. They have been working hard to become an all-around health and wellness company. Their products range from nutritional supplements, organic food, and beauty products to essentials oils. Their focus is to help you with your wellness goals, and now we are fortunate that they are expanding into the Canadian market place. I have the benefit of receiving a number of their products to try at the same time. And I must say I have been impressed with them all. Could not think of any. I really have enjoyed the two different containers of Viva Naturals Coconut Oil that I have had. And the concerns that I had about the 16oz container are eliminated when you go to the 32 oz. My only real complaint is that there is not a larger size available, at least in Canada at the time of writing this review. I am very impressed with this product. Over the past 5 years I have used mainly two different brands of Coconut Oil, mainly because of availability and also because of taste. But during that time I have tried about a dozen different brands. This one beats all of those other brands hands down. It is a very mild taste. And works well across numerous testing's, tested in use for prepping food, in food, or topically. This 32 oz product comes in a thicker opaque which is similar to most other brands that do not use glass. For a few years now I have been buying very large containers from a whole sale store, it is nice having smaller packaging so that it is easier to manage especially towards the bottom of the container. This product was amazing in smoothies and worked great for cooking. So why not give it a try. As stated these products are now available in Canada currently through the Amazon Marketplace. This is a great products at good prices, looking forward to trying more products in the line. Over the past few months I have tried numerous products from Viva Naturals. To date I have tried 8 health food products, 1 supplement and 3 essential oil products. I received these products in order to test and review. And I have been very impressed with all of the Viva products that I have tried. I have been using one or more every day for almost a month now and see them staying as staples n my cupboard. In a month of daily usage I have already seen progress in my health and fitness goals. Viva Naturals was founded in 2011, since that time they strive to be an all-around health and wellness company. They have products that range from nutritional supplements, organic food, beauty products, and essentials oils. Their goal as a company is to help you with your wellness goals. Thankfully now they have expanded into the Canadian market place. And this Maca Powder is amazing. I have tried them numerous times, and in a few different ways. I am almost through my first 1 pound bag so it is time to restock! Enhanced Bioavailability - maca powder is gelatinized in order to improve the absorption of this renowned root. Gelatinization ensures indigestible starch is removed by applying low heat to raw maca roots, resulting in a highly absorbable powder that eliminates any digestive discomfort. Adaptogenic Qualities - maca has been shown to help support healthy hormone levels, enhance vitality and sustain energy levels, naturally. We recommend using 1 teaspoon per day for feelings of tranquility and relaxation. Promotes Radiant Complexion and Glowing Skin - gelatinized maca is a nutritious source of vitamins, minerals, fatty acids and plant sterols offering a wide range of benefits, particularly helping to improve the look and feel of skin. Impeccable Versatility - maca can be used to enhance a variety of recipes including smoothies, baked goods as well as savory items. This delectable superfood will enhance the taste and flavor of any modern-day recipe, while increasing the nutritional value of your meals. I cannot speak to most of those listed benefits, but I can state that since using it almost daily I have noticed a greater level of energy. I girls that are 10 and 6, both love smoothies, especially if they have spinach in them. I have tried a variety of smoothies with Maca powder and they have always enjoyed them. I have also tried it a number of ways. When I first got this product to test I had to google it. I was aware of it for years but had never got around to giving it a try. My initial search returned 1,440,000 for ‘Maca Powder Benefits’ and 142,000 for ‘Maca Powder Usages’. It was a little overwhelming so I just picked the top few and gave them a try. And to be honest if I never used it outside of smoothies it is worth more than it’s cost for the benefits received. I have stated this about other Viva products but must state it again the packaging is the only real drawback of this product, it just does not reseal properly. My workaround is to put in inside a different container, but would really like to see that resolved in the future. But I still give it 5 stars based on the product itself and not the issues with the packaging. I do not see myself experimenting with more ways to add them into my diet, I am more than happy to add it daily to smoothies. It will be something I use almost daily. Which makes me thankful that these products are now available in Canada through the Amazon Marketplace, it is easy to stay stocked up. I highly recommend the Viva Maca Powder, and to be honest all of the Viva products that I have tested to date! I have been using camping backpacks since the late 70’s back when I was involved with Scouts Canada. Over that last 4 years I have had 8 hiking packs. My all-time favorite is the Asolo Navigator 80, but this bag comes in a close second. Like all Thule products that I have encountered this Backpack is made with exceptional craftsmanship. It is a very well-crafted bag even if some of the design features are not what I would expect. First the day pack that comes off from the main pack is the hood for the main pack. It comes off and becomes a sling pack for day hikes, or summit climbs. I am not a fan of sling bags so would be unlikely to use it. But it is there for those who wish. The other surprise was that the rain cover is stored in a pocket on the bottom front of the bag. It is clipped into the bag, and can be installed and stay clipped it. But it can also be removed completely for a little extra storage if desired. The ran hood uses an elastic edge to wrap around the top and sides, but two toggle style buttons to affix to the bottom front of the bag. The feature I would have really liked to see on this bag is a cover for the straps. My current main bag had a flap that hides in a pocket on the bottom that comes out and zips around all the straps sealing them in. This is a much better option for air travel than putting the backpack in a plastic bag at the airport. So if air travel is not a consideration this is a great pack, but if it is, be careful. I have seen more than a few destroyed packs on airport carousel where the straps got caught either in loading, flight or unloading. Top comes off and becomes a sling pack for day hikes. I have loaded and unloaded the pack a few times now. I find it a little small for what I would use for a longer excursion; but too big for a weekend trip. At 60L it is a strange middle size in my opinion. I really like my 80L and 50L bags. I also had a friend test the bag, at over 6 feet in height he could not get the bag adjusted so it would sit well on him. So the bag will not be a good fit for taller guys. I am 5 foot 9 and it fits perfectly so below 6 foot the bag is a good option. Overall a very well made bag but with a few concerns. I would recommend the brand, and as stated the craftsmanship is excellent. But depending on usage might not be ideal. 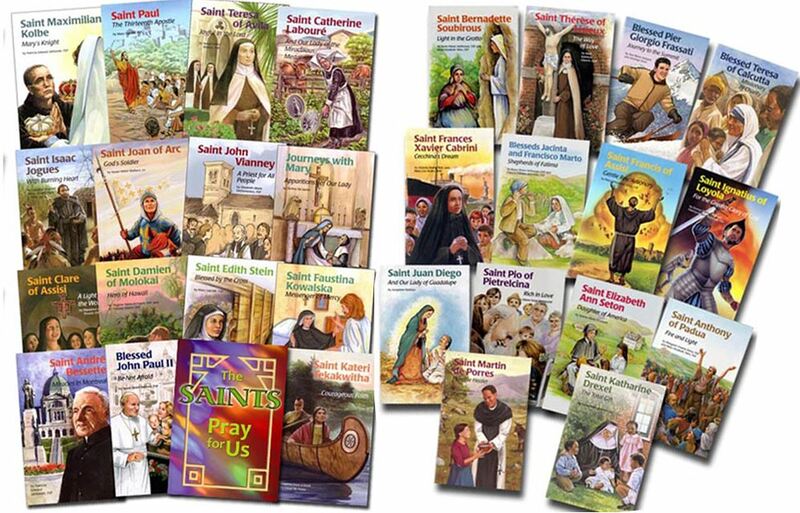 With each of the books I read in the Encounter the Saints Series, from Pauline Books and Media, I am more impressed with the series. There are currently 37 books in this series, including The Saints Pray for Us, and I have read about a third of them. I have read book 1 and book 36 and a sampling in between. I have been reading these books with my three children, but I must be honest and say I am reading them on my own. Because I cannot seem to stop reading these books, and I do not want to wait for the pace I am reading them at with my children. Every time I finish one I cannot wait to start the next. And a few of them have been read two or three times through now. The books in this series are written with a target audience of 9-12 year olds, and my 11 year old can read them without any difficulty, and my 9 year old needs help with some words. But Anyone who reads these book will have their faith enriched. 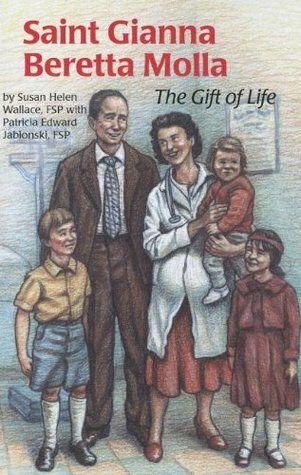 But on to this specific book about Saint Gianna Beretta Molla. This is a very powerful story about a strong female role model. Saint Gianna Molla is not your typical saint. She was a doctor, a wife, a mother. She appreciated fashion, she loved the outdoors. 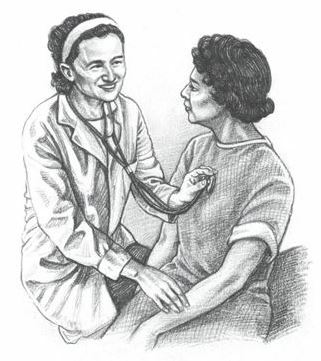 She worked hard at her medical practice and saw he medicine as being in the service of God. And then she had to face a very hard decision, she could save her own life and end that of the child growing in her, or risk her own life so that the child might live. For her it was not just a decision about a medical procedure. It was a matter of faith. The faith she had lived her whole life. The faith she had modeled in her practice. The faith she was instilling in her other children. She made a choice out of conscience as both a doctor and as a mother. The book contains 5 pencil drawings by Rick Powell. This is the only book in the series illustrated by Powell's. But He does a wonderful job. 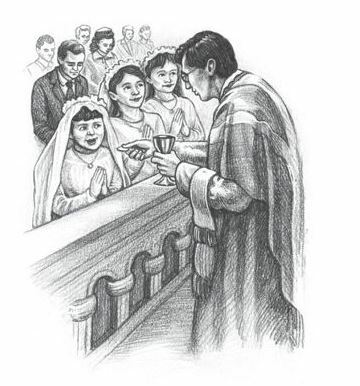 They include Gianna receiving her first communion. 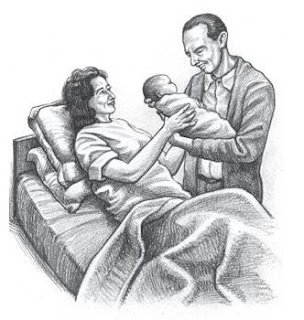 The birth of their first child, her treating a patient and two others. But you will need to read the book to find out what they are. Saint Gianna, you've taught us-not only with words, but through your example-some very important truths. One is that God wants all our families to be centers of love. Remind me that the love and understanding I practice in my own family can help to make the world a better place. You've also shown us that every unborn baby is a precious and unrepeatable gift of God whose life should never be taken away. Saint Gianna, ask God that all people may come to understand and believe this. Remind me to pray every day for an end to abortion. I want to do what I can to respect and protect the life of each and every person because every human being has been created by God in his own image. Saint Gianna, you loved life. You knew it was a great gift. Help me to know what God wishes me to do with my life; to spend it well and for the good of others, just as you did. You found joy by trusting God in everything. Help me to do the same. Please pray for me. Amen. This book as mentioned is part of the Encounter the Saints Series; from Pauline Books and Media. I have now read about a third of the series this year. This is another inspiring book in a wonderful series and I highly recommend both the book and the series. This was the third book I have read by Susan Peek over the last few months. I have been greatly impressed by them all. I loved Saint Magnus The Last Viking, and found it very well written. And her handling of mental illness and especially PTSD in The King's Prey: Saint Dymphna of Ireland was incredible. But this book was incredible. I could barely put it down. I devoured it in two sittings on the same day. And I must admit I went to bed much later than I should have for my alarm goes off at 5am to get up and ready for work. There was not a lot of sleep the night I finished this book! I found it hard to categorize this book. It is historical fiction. So I count it as a fiction book. But so much actual history is woven into this book and it is so masterfully written I wish I could just call it history. 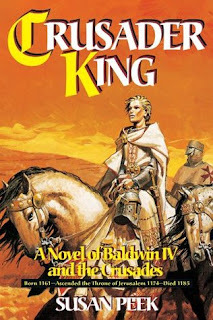 This is the story of the “unusual life of King Baldwin IV of Jerusalem, the leper crusader king who - despite ascending to the throne at only 13, his early death at 24 and his debilitating disease - performed great and heroic deeds in the face of seemingly insurmountable odds.” It is the story of faith, a story of friendship, and a story of how Christianity loses its way when corruption spreads within its ranks. From my university church history courses I was familiar with the basics of this story. But most of all it is the story of a man who sought to do God’s will no matter the personal cost and no matter the odds. For Baldwin IV obedience, trust, faith, and courage were the hallmarks of his life and his reign. This book is published as teen fiction, but I know many adults who would love to read this book. The facts in this story will remind us that with faith and obedience we can accomplish the impossible. As mentioned this book is very very well written. I average over 100 books a year and this was one of the best historical fiction books I have ever read. It is right up there with Jack Whyte’s Sky Stone series a retelling of King Arthur, and Taylor R. Marshall’s Sword and the Serpent a retelling of Saint George’s life. This is masterful writing and any fan of history, historical fiction or even just great fiction reads will love this book. My only concern is that there are not a lot of Peek’s books left for me to read, I can only hope she publishes more for us to read soon. This was one of a number of Viva Naturals products I recently got in order to test and review. Overall I have been very impressed with the products. And see them becoming staples in my working towards health and nutrition goals. Viva Naturals is a company was founded in 2011, they strive to be an all-around health and wellness company. Their products range from nutritional supplements, organic food, beauty products, and essentials oils. Their focus is to help you with your wellness goals, and now thankfully, they are expanding into the Canadian market place. And these Goji Berries are awesome. I have tried them numerous times and am almost done my first 1 pound bag of them, but it will not be my last! Now I must state, my three children ages 10 and under were willing to give these a try. Both of my daughters love them straight up. Every time I pull the bag out to make a smoothie, the girls ask for some and eat a small handful each. The girls also love them in smoothies. They are also really good in a trial mix with nuts and seeds and the Viva Cacao Nibs. I am currently snacking on these, the cacao nibs, with macadamia nuts, cashews, almonds, walnuts and pumpkin seeds as a mix for afternoon snack. The packaging is the only real drawback of this product, it just does not reseal properly, and I have noticed that on a number of Viva products. My workaround is to put in inside a different container, but would really like to see that resolved. But I still give it 5 stars based on the product itself and not the issues with the package. Prior to giving these a try I have never had Goji berries at home that did not come mixed with something else; either in tea or prepackaged salad kits. I love the sweet-tart taste that they have. And they are very versatile. I know I will be experimenting with more ways to add them into my diet. Since these products are now available in Canada through the Amazon Marketplace, it is easy to stay stocked up. I highly recommend these berries, and to be honest all of the Viva products that I have tested to date! This book is a brilliant read. Eric writes in such an engaging manner that once you start reading you will have a hard time putting the book down. 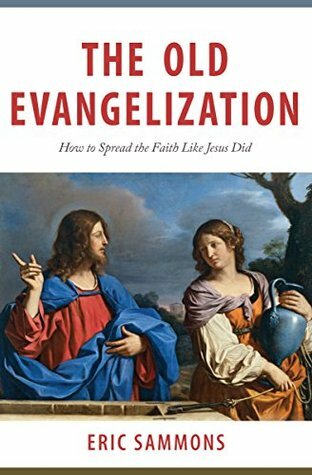 The main premise of the book is that the personal touch is the best method for lasting evangelization. 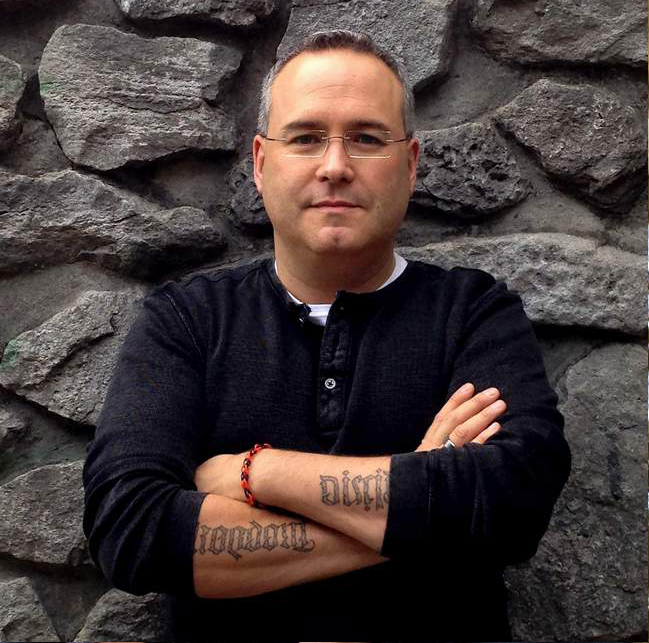 Eric writes extensively from personal experience; both his experiences evangelizing from within and outside of the Catholic Church. This book is called the Old Evangelization because; it uses Jesus as the main example. It takes the way that Jesus’s ministry worked and translates those into examples that can be tools for us to use in our own life. It does this with plenty of personal and ministry team examples. “It seems like every day somebody comes out with a new trick for bringing people into the Faith. Mixing pop psychology with spiritual fads and marketing jargon, these techniques seem to last only until the next big idea comes around. And despite their hype, they usually don’t win many souls. “We too have been called to convert the world. Like Jesus, we may never travel much beyond our birthplace, and may never interact deeply with more than a few hundred people. Yet if we model ourselves on Jesus, we can have a life-changing impact on those around us. You have a circle of influence—your family, your friends, your neighbors, your coworkers, even the people you bump into regularly at the grocery store. You can use this influence to direct people toward Christ and his Church, or you can use it to direct people away from them. If you follow the example of Jesus and the principles of the great Catholic evangelizers of the past, as outlined in this book, you can have as profound an influence as Christ’s first followers, who transformed a pagan culture into a Christian one and saw countless souls turn away from the path of destruction to the path of eternal life in Jesus Christ. So pick up the book, give it a read and get started. In the past year I have read 28 books from Catholic Answers. 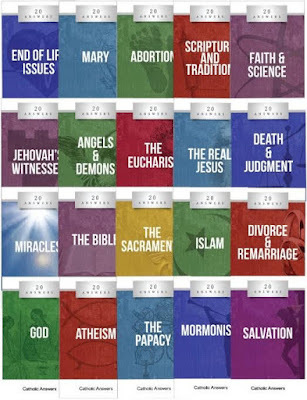 They have so amazing books for helping you understand your faith, and to be prepared to share it.